Being a person who flys quite a lot, I must admit that sometimes I find the pre-flight safety demonstrations and videos a tad boring. Even the people doing the demo look bored, hardly any of them grab my attention. Although I know I should be watching, all I want to do is get back to reading my magazine. Finally one airline has decided to do something new to grab passengers’ attention, plus make them smile at the same time. Air New Zealand, the airline that previously featured videos of body painted airline staff, has now come up with a new cartoon version of the safety video. Guaranteed to get your interest, this new video will make you want to watch because its fun. Fronted by actor Ed O’Neill of Modern Family fame and New Zealand born actress Melanie Lynskey of Two and a Half Men, the hand sketched in-flight safety video features everyone from world leaders and musicians to sports stars. Trying to spot the cameo appearances of well-known personalities, such as President Barrack Obama and Australian Prime Minister Julia Gillard, will keep your eyes glued to the screen. The new safety video will be rolled out on flights from July. Have some fun and see how many you can identify. Click on the link below. Sandra T.
Sydney’s Park Hyatt Hotel has recently been awarded the title of Best Capital City Hotel in the 2012 Australian Gourmet Traveller Travel Awards as well as appearing in Travel & Leisure’s listing of The Best New Hotels 2012. General Manager, Andrew Mensforth commented “Park Hyatt Sydney is honoured to be recognised as a preferred luxury hotel in Australia. This recognition is a reflection of the hotel’s continued commitment to service excellence in providing our valued guests with a residential style home that truly reflect the unique characteristics of our harbour city in one of Sydney’s most coveted locations”. 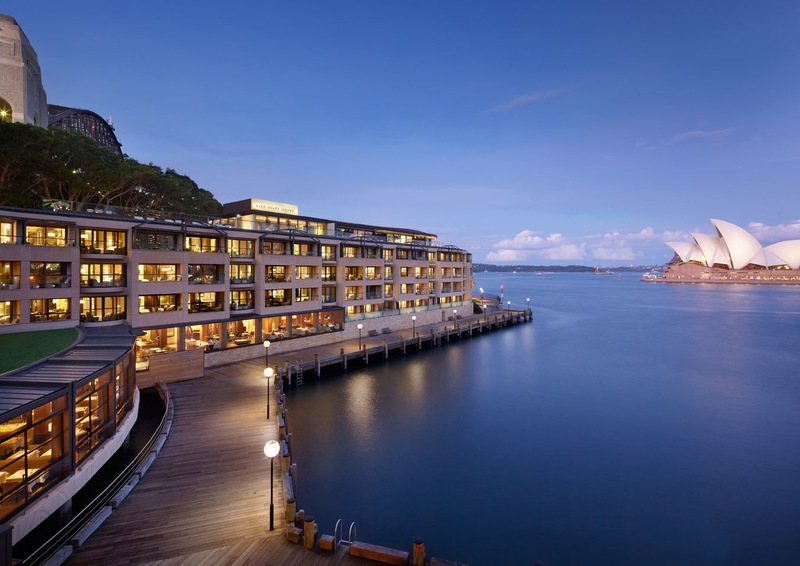 Now reopened after an eleven month renovation, the Park Hyatt Sydney offers guests an unrivalled harbour front location with views of the Opera House and Harbour Bridge. The feeling of contemporary luxury is unsurpassed in this elegant and sophisticated hotel. The hotel’s restaurant, simply called “The Dining Room”, with its leisurely ambience and Opera House views, has always been one of my favourite spots for lunch. I was so impressed with the fresh new look when I went for lunch a few weeks back. It was comforting to find that the food was just a good as it always was, or perhaps even better. The Park Hyatt is a hotel that Sydney can be proud of. Sandra T.
Hawaii is home to some great beaches, surfing and sun, that’s why so many Aussies love going there for holidays. Not as well known, is that Hawaii has some great chefs who are putting Hawaii on the foodie radar. 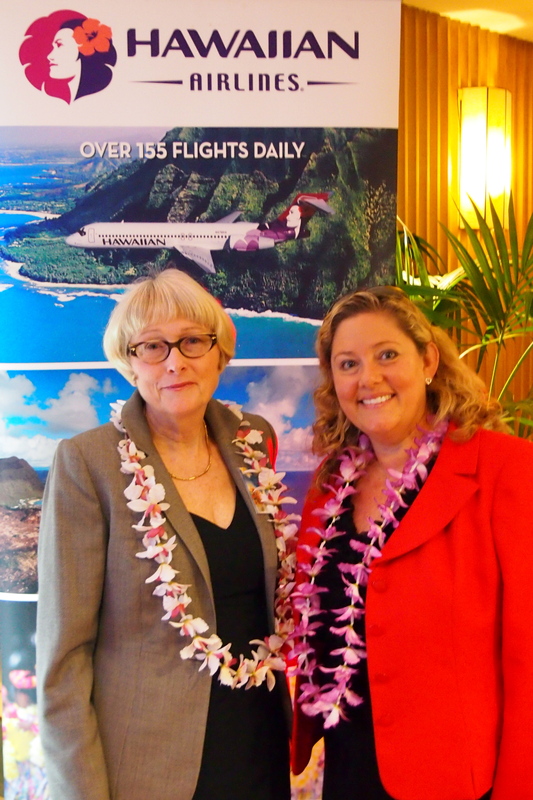 Thanks to Hawaii Tourism Oceania, Hawaiian Airlines and The Grace Hotel, Sydneysiders will be able to enjoy a taste of Hawaiian cuisine from 15 to 30 June 2012, when The Grace Hotel presents the Flavours of Hawaii Food Festival. The Grace has brought two talented Hawaiian chefs to Sydney for the event. I was at The Grace Hotel last night for the opening celebrations of the Festival where everyone got into the Hawaiian mood. On arrival, with the sounds of a ukulele playing in the background, we were bedecked with leis as we went past the surfboards, sand and enormous floral shirt decorations. I tried nearly every one of the Hawaiian flavoured dishes on the buffet, even the desserts. I could not resist as they all looked so tempting and none of them disappointed. Hawaiian cuisine is an interesting fusion of many cultures and ethnic groups that make up the population of Hawaii today, such as Japanese, Filipino, Chinese, Korean, Polynesian, American and European. Hawaii Tourism Oceania along with Hawaiian Airlines and The Grace Hotel are running a competition for diners with a grand prize of a trip for two to Hawaii and a second prize of a weekend at the Grace Hotel. Eating Hawaiian food in Hawaii is the only thing better than eating Hawaiian food in Sydney. After last night’s taste of Hawaii, I am now making plans for a holiday in this tropical paradise. 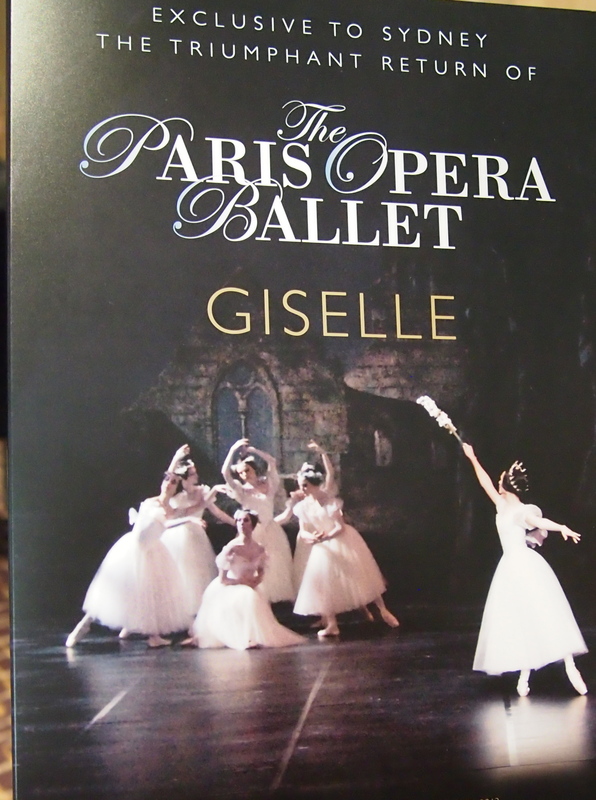 Sandra T.
Sydney’s Capital Theatre will be the venue for 13 performances of the Paris Opera Ballet production of Giselle. Regarded as one of the greatest, if not the greatest ballet company in the world, The Paris Opera Ballet will return to Sydney in early 2013. 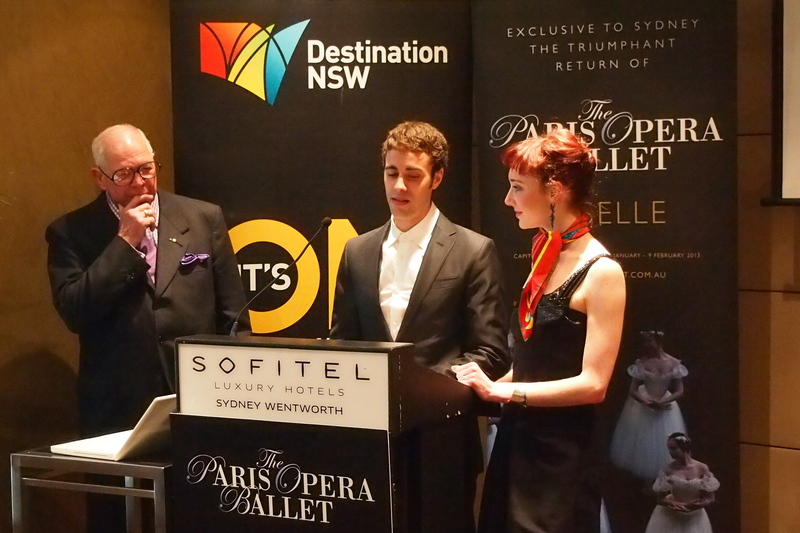 Two of the stars of the Paris Opera Ballet, Mathias Heymann and Eve Grinsztajn, flew to Sydney especially for the announcement, at the Sofitel Hotel, of this exclusive event. Mathias recently won the 20th Annual Benois de la Danse Award for Best Performance by a Male Dancer, one of the highest awards for dance in the world. Many of the Paris Opera Ballet’s dancers have come through the company school, commencing their training in the French technique as early as eight years of age. Giselle, first seen in Paris in 1841, is a romantic ballet which tells the tale of an innocent country girl who, deceived by her noble lover, dies and joins the ranks of other young maidens, similarly betrayed, in a spirit world where she is able to save his life through her manifest love for him. This exclusive to Sydney tour, is presented by Ian McRae AO and Leo Schofield AM. The season will run from 29 January 2013 to 9 February 2013 and bookings will open on Monday 2 July. Sandra T.
You are currently browsing the SANDRATBLOG.COM blog archives for June, 2012.